In the backdrop of the face-off, China had stopped Kailash Mansarovar pilgrimage through the Nathu La pass, demanding that India withdraw its troops from Doklam. 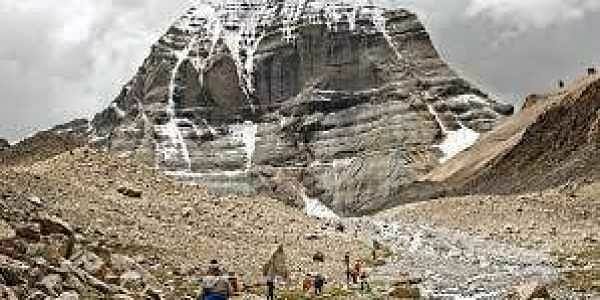 NEW DELHI: The government is engaged with China on the issue of the Kailash Mansarovar Yatra via the Nathu La route which was not undertaken this year in the aftermath of the military face-off between India and China. The issue was also raised by External Affairs Minister Sushma Swaraj with her Chinese counterpart Wang Yi during a meeting here a fortnight ago, Minister of State for External Affairs V K Singh said in a written reply to a question in the Rajya Sabha. "The Kailash Manasarovar Yatra via the Nathu La route was not undertaken in 2017 after the Chinese government cited unfavourable conditions to ensure the safe and smooth conduct of the yatra on this route," Singh said. "The government of India is engaged with the Chinese government on this matter. The EAM also raised the issue with Chinese foreign minister during his visit to India en early December 2017," he also said. The Doklam standoff began on June 16 after the Indian troops intervened and stopped the Chinese Army from building a road in the area claimed by Bhutan as it posed a security risk to Chicken Neck, the narrow corridor connecting India with its north-eastern states. Finally, the two armies "disengaged" on August 28.